up to 35% of your total heat loss. – An assessment of building suitability. – Licensed installation of water-repellent glasswool insulation. – Durable external wall cladding repair. CosyWall, like most cavity insulation products is often recommended as an ideal way to conserve energy and lower your monthly bills. If you are trying to decide if CosyWall is right for you, take a look at some of the benefits of wall insulation below. There are many advantages that come with having cavity wall insulation installed. If you get it professionally installed the drywall won’t need to be torn out and batting won’t need to be installed. The installer will simply drill holes in the outside of your wall and pump the material in through them. It’s a simple, fast, clean and effective method. 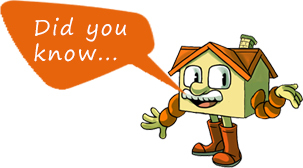 The main benefit of cavity wall insulation of course, is the fact it lowers your energy bills. The amount you will actually save will depend upon your property. The average home loses around a third of its heat through the walls so insulating these can really help to keep the heat inside the home. Not only do you get great cost savings, you will be living in a much more comfortable environment. Another advantage to cavity wall insulation is the fact it can reduce condensation. If you currently have problems with mould, having insulation installed could help to eliminate this and create a healthier environment. CosyWall is NOT spray insulation foam, expanding foam, or spray foam insulation. It’s a DRY spray-in type insulation. CosyWall is manufactured by melting and spinning a blend of inert, natural minerals – similar to Rockwool insulation. CosyWall has no added formaldehyde, is non-combustible, water repellent and durable dry-blown wall insulation. CosyWall is packed in weatherproof plastic CWI bags. You can get wall insulation NZ wide through Safe-R Insulation. The CosyWall system is a multi-purpose product designed to provide effective thermal and acoustic wall (soundproofing) insulation for existing water-tight external timber framed wall cavities, fibre cement, plywood or sealed masonry veneer claddings.